First full day of our storm chase trip 2016 and it has been a perfect one. We spend our morning walking around campus doing the OU Campus banner. While we were doing that, we met a couple of resistance agents from around here. They even knew the portals I submitted two years ago! After a nice but long walk we went to the Library. As literate as it sounds, the only thing we did read was their beer menu. 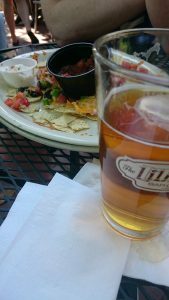 And one thing let to another, our beers (a few of Oklahoma’s finest) were followed by excellent nachos, pizza and salad. 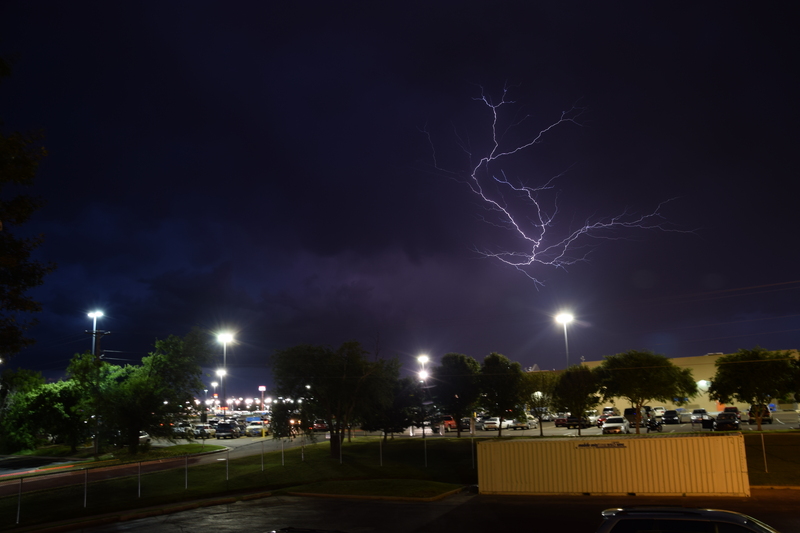 To top this day off, I got my first lesson in how to take lightning pictures and got one decent shot. And while writing this post, there is a nice background sound of thunder roaring and wind blowing.